Swarovski CL Companion binoculars give impressive performance with extremely light, compact construction to ensure exceptional manageability and simple handling. Swarovski's CL Companion binoculars combine the proven precision of Swarovski with exceptional value for the money. 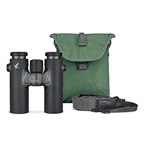 Whether you're at home or away, a seasoned expert or on your first steps toward becoming a nature observer, the compact size of the Swarovski CL Companion binocular means you can keep it at your fingertips for whenever the moment takes you. 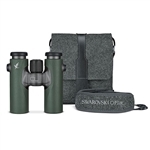 Combining the proven precision of Swarovski Optik with exceptional value for the money, these binoculars are perfect for birdwatchers and nature lovers of every level and in all situations.